This time the Challenge is about collaboration and metamorphosis in the spirit of Exquisite Corpse—with a special emphasis on environmental, social justice, and civil rights activism. Step One: Submit up to five unpublished poems (10-50 lines each, or 200-500 words if a prose poem) for consideration. Also submit one polyvocal performance text that showcases your best writing for performance. It will not be published in Nerve Lantern but will serve as an example of what you can write and will affect whether one of your poems is accepted. Special consideration will be given to poems that in some way express environmental, social justice, or civil rights activism—e.g. to protest social injustice, call for change to help others or our planet, illuminate personal experience of injustice or oppression, celebrate diversity, etc., as long as the poem does not promote violence or cruelty. Complexity and innovation in form/language are welcome. Submission Deadline: September 1, 2017. Step Two: If one of your poems is accepted, your poem will be given to another participant in the Challenge to transform into a poets theater piece. You will receive a poem from a different participant. Write a new poets theater piece, inspired by the poem you received and incorporating as many phrases from the poem as you can thoughtfully collage. The poets theater piece must be for more than one voice, the best writing you can muster, and 1-5 pages long. Special kudos for retaining and reinforcing any activist theme. Complexity and innovation in form/language are welcome. Submission Deadline: February 1, 2018 (but the sooner the better). Step Three: If your performance text is in good order, it will be given to another participant in the Challenge to be performed. 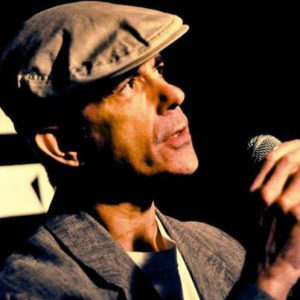 You will receive a poets theater piece from a different participant. 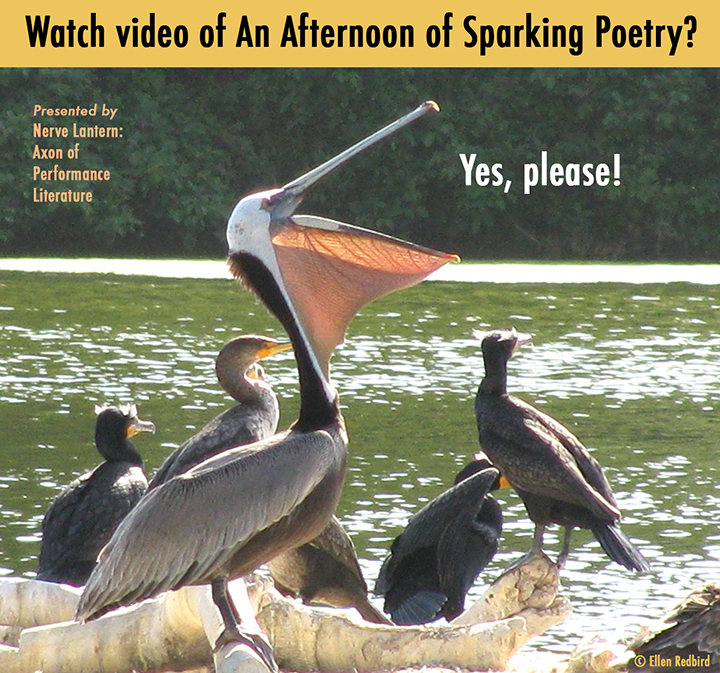 Get your friends together and perform this piece in a public space (indoors or outdoors). You can add costumes, props, music, movement, etc. to the piece as long as your intent is to honor the text. Have a friend video this performance. The video can be low-tech, as on a smart phone, but feel free to edit the video if you think that’s wise. How to submit the video will be discussed at the time. Special congratulations for harnessing any activist theme in the performance—via how you manifest the text, where you perform it, and which audience you reach. Submission Deadline: June 1, 2018 (but the sooner the better). Step Four: As long as the editor finds them acceptable, all winning poems, poets theater pieces, and videos of performances will be published on the Pyriform Press website as an online issue of Nerve Lantern. In further appreciation, the editor will give each participant one free copy chosen from available past issues of Nerve Lantern. Notes: Poetry judges are yet to be determined. The Challenge will only go ahead if we can find at least three participants. 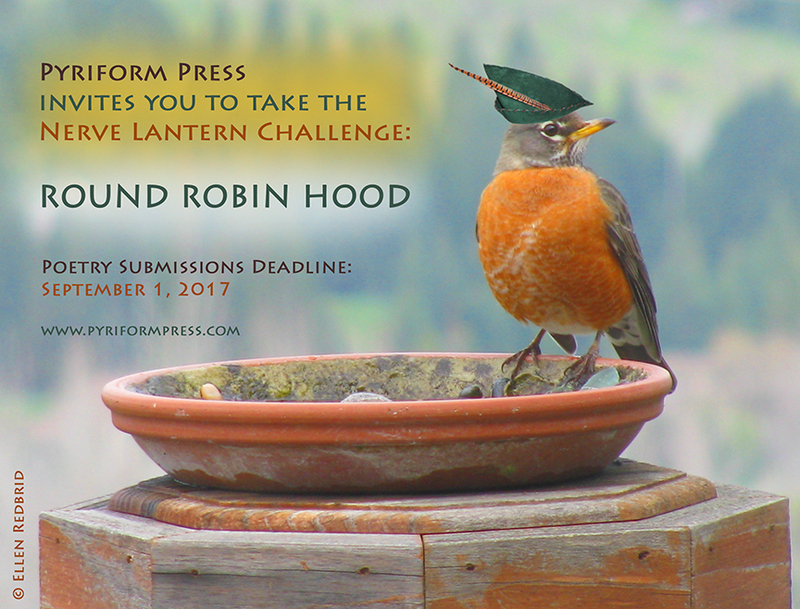 Please share this call for submissions. In the spirit of Robin Hood: The more the merrier! Announcing the release of Nerve Lantern issue 10! Nerve Lantern 10 is available to order! Enjoy 94 pages of exciting performance texts. Pyriform Press is, for all intents and purposes, a not-for-profit. All sales money for Nerve Lantern go to help cover the cost of its materials, printing, publicity, and postage. Thanks for your support! Many thanks to the contributors and volunteers! 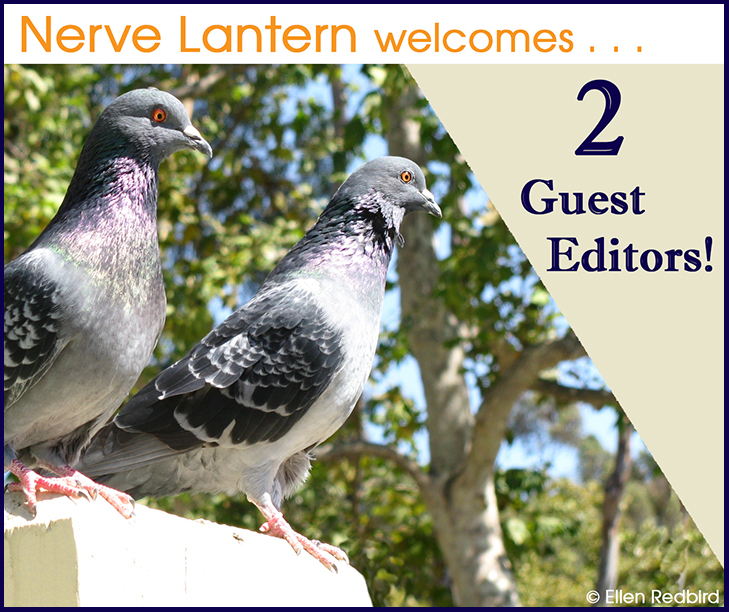 Announcing the release of a special digital issue of Nerve Lantern! showcases performance texts inspired by the art and ideas of Yoko Ono. 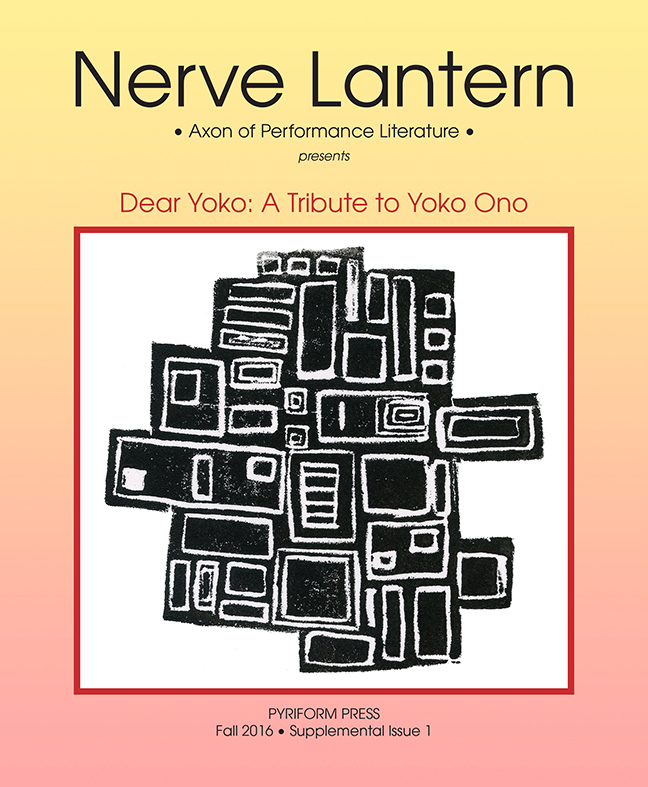 Nerve Lantern: Axon of Performance Literature invites submissions of visual art for inclusion inside a special digital issue that pays tribute to Yoko Ono. 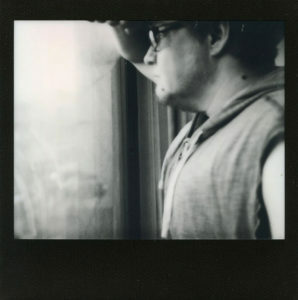 We are most excited to receive work that reflects an awareness or influence of Yoko Ono’s extensive work. Images should be jpeg or tiff and at least 300dpi resolution. Color, grayscale, or black-and-white is fine. Five images maximum. 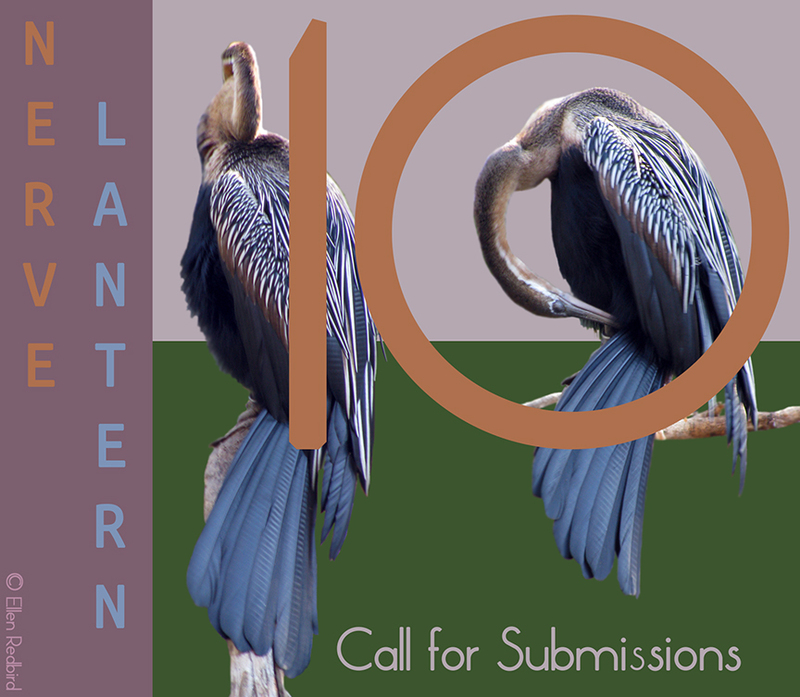 Nerve Lantern is accepting submissions for issue 10. Maximum 10 pages. 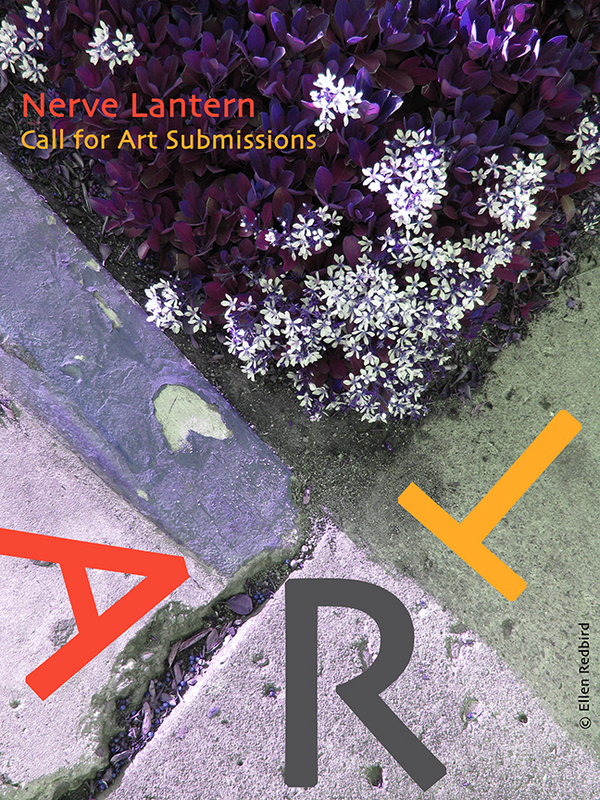 Please include a message with a brief introduction of yourself and your interest in Nerve Lantern. 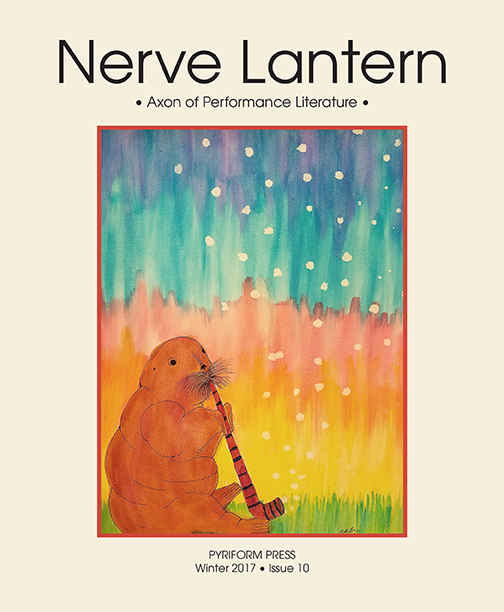 Nerve Lantern: Axon of Performance Literature is a journal of experimental performance texts and texts about performance, supporting a range of forms, including poets’ theatre and page-as-stage, published by Pyriform Press and edited by Ellen Redbird. 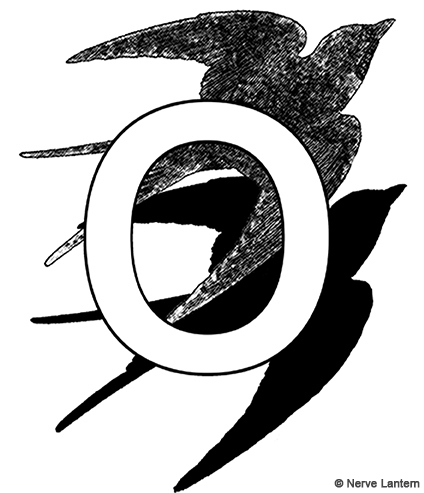 Nerve Lantern: Axon of Performance Literature, a journal of experimental performance texts and texts about performance, is preparing a supplemental digital issue that will pay tribute to Yoko Ono, with guest editors Joel Allegretti and Jay Besemer. The editors are seeking performance texts that interpret and respond to Ono’s Fluxus art, instruction pieces, and ideas. The deadline is October 31, 2015. Visit www.pyriformpress.com for information about Nerve Lantern. will be guest editing a new supplemental digital issue of Nerve Lantern! These two fine writers will bring fresh editorial perspective to the journal, which should enrich the community and broaden the scope of the Nerve Lantern vision. Redbird looks forward to the issue they put together and encourages everyone to submit work. A call for submissions will be posted soon. 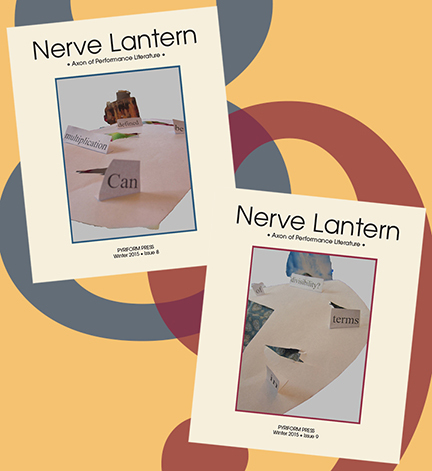 Announcing the release of Nerve Lantern issues 8 & 9! Nerve Lantern 8 & 9 are available to order! Enjoy 170 pages of exciting performance texts and texts about performance. Video Clips of the 2014 Nerve Lantern Show! The show An Afternoon of Sparking Poetry was performed on July 19, 2014 in New York City at Medicine Show Theatre as part of its Word/Play series of writers’ readings (made possible in part by a grant from the New York State Council on the Arts, a State Agency). Co-organized by Kris Lew (also the MC) and Ellen Redbird, this show celebrated work by Nerve Lantern contributors. Performers: Joel Allegretti, Allan Andre, Maggie Dubris, Michelle DuPré, Trae Durica, Kim Essex, Aimee Herman, Kris Lew, Magus Magnus, and John J. Trause.